If you’re looking for American-made quality and value, look no further than Toyota. 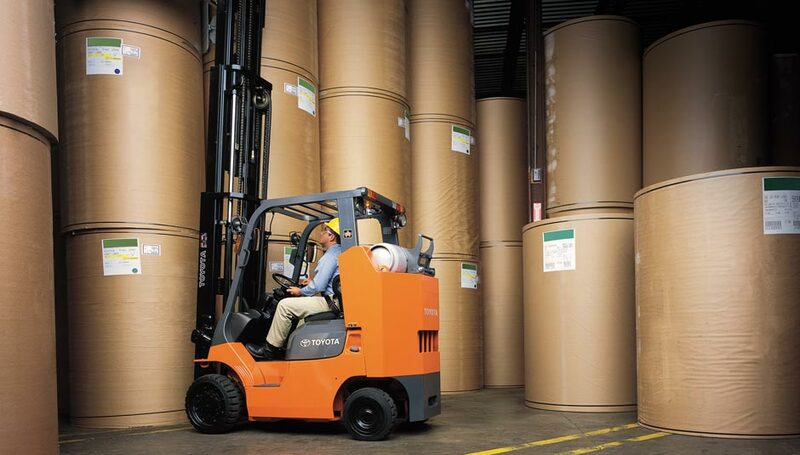 Toyota has been a leading supplier of innovative forklifts and lift trucks for nearly half of a century, and has been consistently ranked at the top for value and quality. Best of all, these lifts are built in America, at the Toyota Industrial Equipment Manufacturing (TIEM) plant (customer training center) in Columbus, Indiana – not too far away from us. Their campus also offers a customer training center and a distribution center. 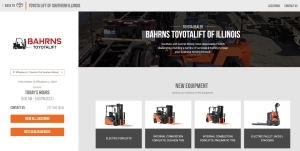 Bahrns ToyotaLift of Illinois can also be found on the Toyota Forklifts Site under Bahrns ToyotaLift of Illinois. A comprehensive site as to the material handling vehicles and equipment Toyota Forklift offers and the locations and information of every Toyota Forklift Dealer. If you are not within the Bahrns ToyotaLift of Illinois selling and service region all you need to do is -click- Find A Dealer punch in your zip code and find your local Toyota Forklift Dealer. At Bahrns Toyotalift, a division of Bahrns Equipment, we are proud to be the place to go for Toyota forklifts and lift trucks in Central and Southern Illinois. Stop in and learn more about Toyota forklifts – we can even work with you to help you attend a tour at TIEM. For over thirty years, the experienced sales team at Bahrn's Equipment has been specializing in dealing in Toyota forklifts. Whether you are interested in a investing in only one forklift or are looking to purchase an entire fleet, the expert staff at Bahrns promises that we will work with you to ensure you utilize your funds to their highest potential and make a purchase that will leave you feeling satisfied. Contact our Toyota Sales Consultants for a free quote and any questions: 1-800-432-2909. Class V: Pneumatic Forklift Training ToyotaLift has the unique ability to customize and develop to fit your training needs. There is no more trusted and recognized name in the heavy equipment industry than Toyota and Bahrns Equipment is the Toyota forklift dealership in the Central Illinois area with the most knowledge and experience. We offer a wide range of forklifts including all terrain forklifts, electric and pneumatic forklifts, narrow aisle, cushion, and electric walkie forklifts. With the best resources available, STARLIFT parts and factory-trained service technicians we ask, why would you choose anyone other than Bahrns for your lift truck needs? Toyota is synonymous with technology and quality. Bahrns Equipment deals in both new and used Toyota lift trucks. Regardless of which you choose, you can feel confident that when dealing with Bahrns you will have made the best deal possible, whatever your budget may be. Any used Toyota forklifts sold through us comes with the Toyota Used Certification, so you can rest easy knowing that you have spent your money wisely and safely. We also offer financing packages and incredibly flexible leasing through Toyota Financial Services. Here at Bahrns, we proudly boast of our history of selling our valued customer the forklifts that best suits your needs.We invite you to come visit us and view extensive inventory of the nearly 4000 products we have to offer.